Boil water in a deep pan, add macaroni and salt and cook for 8-10 minutes or according to the package instructions. Drain the macaroni and keep it aside. Heat oil in a pan, add onions, green chillies, ginger ,garlic and tomatoes and saute well. Add curry leaves, coriander leaves, cleaned prawns, chilli powder, turmeric powder and salt and mix well. Add 1/2 cup water and cook for few minutes till prawns are cooked. Then add garam masala and cooked macaroni, mix well and cook for 5 minutes in low flame...Serve hot.. Cute looking pic.. Easy & tasty recipe.. Very nice and different combo dear. Thank you for stopping by at my place. You have great collection of recipes. I am very happy to follow you. 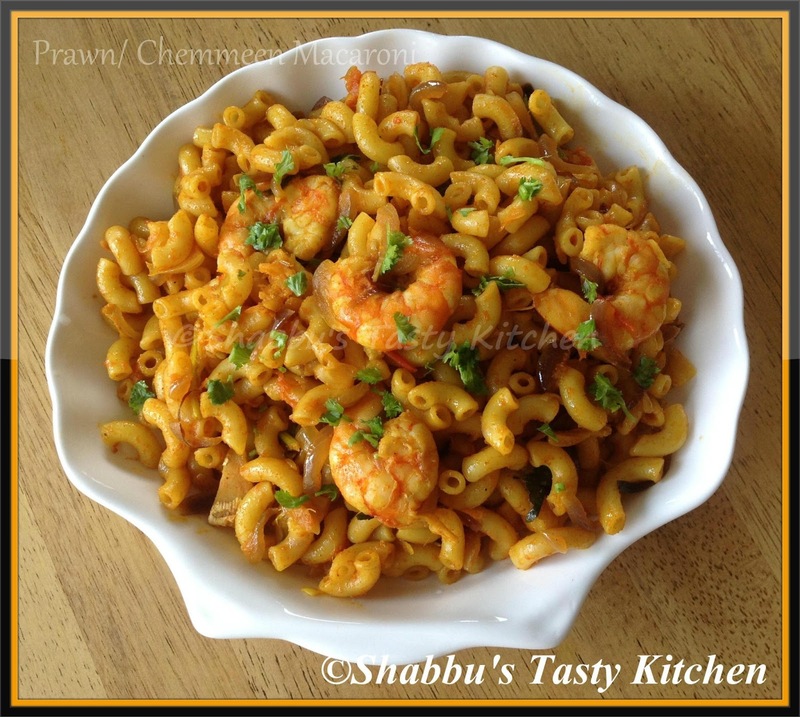 Incredible and terrific macaroni,love those prawns,cant resist.